IRVINE, California, May 23, 2017 – McDermott & Bull, one of the largest executive search firms within the Hunt Scanlon Top 50 Recruiters list, as well as one of Forbes’ Best Executive Recruiting Firms, has been retained by Juanita’s Foods to lead their search for a Vice President of Sales. 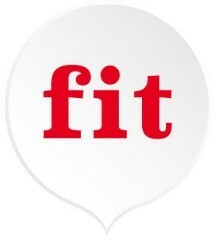 This executive recruiting engagement is being conducted by The fit Practice at McDermott & Bull, which includes Jeff Black, Partner; Jason Pinegar, Associate Principal Consultant; Trey Mullen, Associate Consultant; and Kelly Nguyen, Executive Search Associate; as well as Amanda Lange, Recruiting Associate. As a member of the senior leadership team, the Vice President of Sales will play an integral role in leading a multi-faceted sales team. This position will report to the CEO and will be responsible for all activities related to conceptualizing and executing on sales strategies and achieving deadlines. The VP of Sales will have responsibility for delivering the short-term sales results needed to achieve growth and profitability targets for the company while building a broader foundation for continued long-term dominance in this space. This role will require an entrepreneurial spirit, thirst for success, unwavering commitment, and demonstrated success in driving strategic sale and marketing initiatives. The ideal candidate will bring a demonstrated history of success building and leading dynamic teams in a high growth sales environment, possessing a hands-on proactive style and accustom to dynamic sales cycles that delivers solutions to support the business and its customers. It will be incumbent on the VP, Sales to develop a deep understanding of Juanita’s existing and potential customers and develop clear strategies for continued success. Juanita’s brand products are made by Juanita’s Foods, a third-generation family-owned and operated business based in Wilmington, California. Founded in 1946 by George De La Torre Sr. and his nephew, Albert Guerrero, it was originally called Harbor Canning Company and specialized in canning the catches of local sports fishermen. One day, at the suggestion of Albert’s wife, Ruth, they tried canning menudo, a popular Mexican stew. This innovative side venture, started in 1950, grew to become a huge success; eventually leading Juanita’s to be the world’s largest manufacturer of canned menudo. Shortly after son George Jr. took the helm of the family business in 1968, he decided to completely eliminate fish canning, focusing on the true heart of the company: authentic, ready-to-serve home cooked Mexican food. The Company’s path was clear, and was officially renamed Juanita’s Foods, emphasizing their commitment to maintaining their well-earned title of leader in the Mexican food category. Today, Juanita’s continues their passion for innovation while maintaining their dedication to authentic high-quality Mexican food. Their product line continues to grow with a wide variety of flavorful soups, sauces and stews under the direction of George Jr.’s son, Aaron as CEO, Juanita’s is proud to carry on the solid family traditions and strong business legacy begun so many years ago, and plans to continue pleasing their loyal customers for many more years to come. McDermott & Bull has been changing the lives of its clients, candidates, and employees since 2001. The firm’s practice leaders, all of whom have substantial executive experience, are uniquely positioned to address the dynamic leadership demands of public and private companies across nearly every industry. With the advent of MB Interim Leaders in 2011, McDermott & Bull is powerfully equipped to service both the permanent and interim needs of its clients. Respected companies including Aramark, CoreLogic, Epson America, Hyundai Capital America, In-N-Out Burger, Kaiser Aluminum, Unified Grocers, Western Federal Credit Union (UNIFY Financial Credit Union), Broadcom, Cisco Systems, Chicken of the Sea, Western Digital, Golden State Foods, Google, Panda Restaurant Group, Honda Center/Anaheim Ducks, Comerica Bank, Union Bank, as well as portfolio companies owned by private equity firms such as Riverside Company, Sun Capital Partners, ClearLight Partners, Swander Pace Capital, Chicago Growth Partners, Atar Capital, and Riordan, Lewis & Haden, have all partnered with McDermott & Bull. Additionally, the firm’s Executive Network program provides valuable resources for and offers opportunities to build meaningful relationships with thousands of C-Suite and VP-level executives throughout the country.